Gilberto Benetton receives the prestigious “GEI Award” as chairman of Autogrill. The Italian company has a powerful presence both in Italy and in the United States. 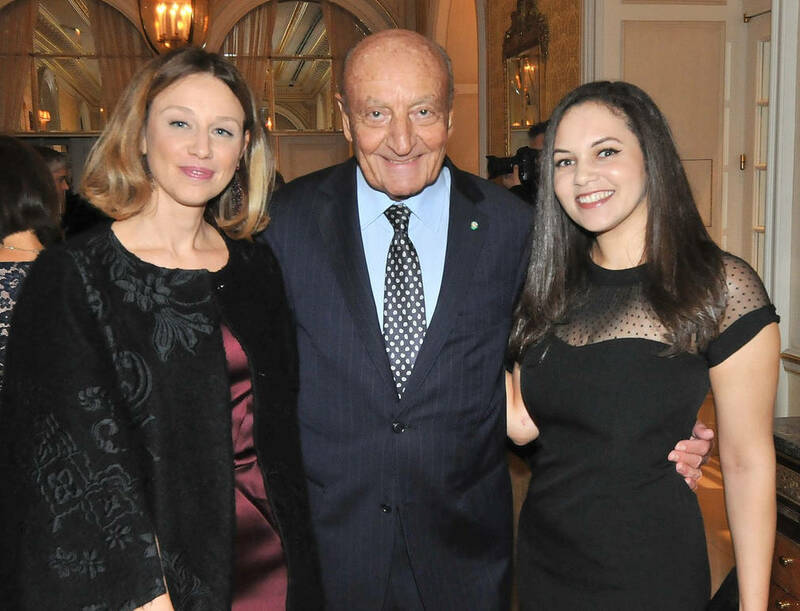 Founded by president of the Gruppo Esponenti Italiani (GEI) Lucio Caputo, the award is an honor given to those who contribute to improving Italy’s image across the world. 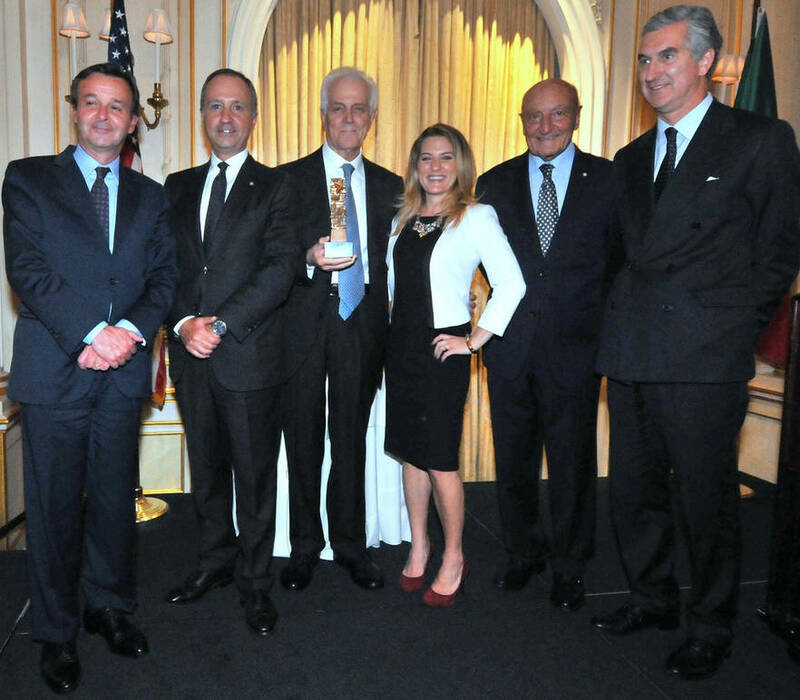 On October 5 entrepreneur Gilberto Benetton, Chairman of Autogrill, received the prestigious “Gei Award.” in the splendid Essex House of New York City. GEI (Gruppo Esponenti Italiani) was founded in 1974 as a non-profit association comprised of representatives from major Italian companies, organizations, and institutions. These “groups” are active in the United States and look to elevate Italy’s image on an international level. GEI is also a forum for Italian and American experts in the fields of politics, society, business, and finance to exchange ideas on the Italian image from an American perspective. Lead by Benetton, the Italian company Autogrill is the world’s leading operator in food and beverage services for travelers, and it's celebrating 40 lucrative years of business. 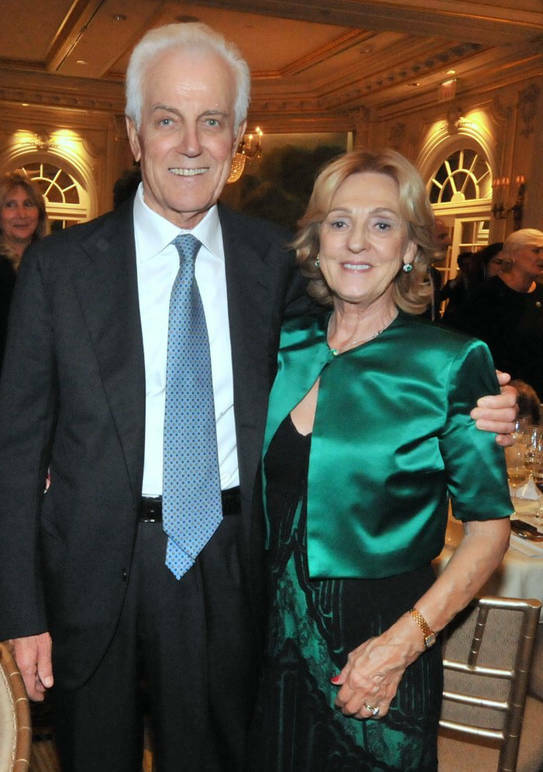 In addition to being the chairman of Autogrill, Gilberto Benetton’s name is perhaps best known for the Italian clothing group, the Benetton Line, which Gilberto and his siblings founded in 1965. Gilberto is also the chairman of Edizione S.r.l. and is responsible for overseeing its financial and real estate investments. Italian Ambassador to the US Armando Varricchio also shared a similar sentiment, stating that the Benetton name is now linked to other great Italian names, such as Gianni Agnelli, founder of Italian car manufacturer Fiat, and Sergio Pininfarina, car designer and Italian senator for life. Other messages of congratulations were sent by New York State Governor Andrew Cuomo, New York City Mayor Bill de Blasio, Minister of Foreign Affairs Angelino Alfano, and Confindustria President Vincenzo Boccia. Anyone who has gone to an Autogrill in Italy knows that it is a breath of fresh air for travelers who are driving the many miles of Italy’s Autostrade (highways). 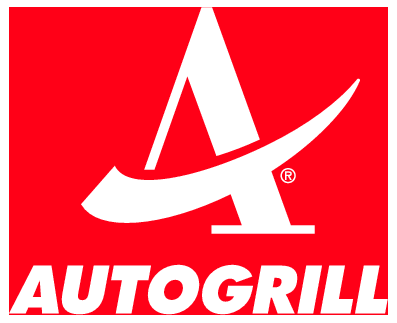 However, what you may not already know is that Autogrill has a large presence outside of Italy as well. The company HMSHost is the North American subsidiary of Autogrill S.p.A.; it employs 39,500 associates and saw revenues of over 3.1 billion dollars in 2016 between the United States and Canada. HMSHost restaurants can be found in 99 rest stops located along toll roads between Maine and West Virginia and as far west as Illinois. In Canada, HMSHost restaurants can be found from Windsor to Cornwall. And as if that’s not enough, HMSHost now has locations in 120 airports worldwide and continues to expand. Without a doubt, it’s easy to see how Benetton has been working hard at promoting Italian excellence on a global scale. GEI stands for “Gruppo Esponenti Italiani,” the Group of Italian Representatives. Founded in 1974, the GEI is an association of representatives from the main Italian business and financial concerns operating in the United States, and Italian leaders in the professions, in industrial design and international affairs. GEI aims to provide a forum for both Italian and American experts in the fields of politics, society, business and finance to exchange ideas on the Italian image from an American perspective. Using funds donated by its members, the Group organizes seminars, round table discussions and other events to promote Italy. It makes financial contributions to various projects, including an Italian school in New York, and has engaged a public relations agency to publish articles on Italian industry. The GEI Award is a small limited-series sculpture by Arnaldo Pomodoro. The past recipients are: Gianni Agnelli, Biagio Agnes, Robert E.Allen, Luciano Benetton, Guido Carli, Carlo Azeglio Ciampi, Emilio Colombo, Mario Cuomo, Pier Francesco Guarguaglini, John E.Grettenberger, Edward M. Kennedy, Emma Marcegaglia, Vittorio Merloni, Leonardo Mondadori, Mario Monti, Gian Marco Moratti, Giorgio Napolitano, Umberto Nordio, Corrado Passera, Luciano Pavarotti, Sandro Pertini, Sergio Pininfarina, Leontyne Price, Alessandro Profumo, David Rockefeller, Renato Ruggero, Massimo Sarmi, Paolo Scaroni, Marvin S. Traub, Marco Tronchetti Provera and Ellen Wolff. 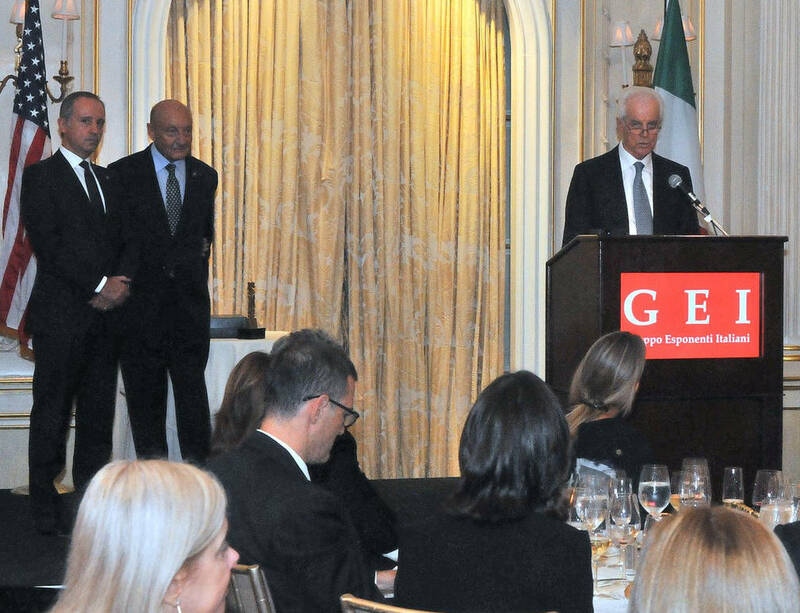 A special GEI Award was presented to the President of Italy, the late Sandro Pertini, on the occasion of his visit to the United States. The Group also hosts working luncheons with local and visiting personalities to focus on relations between Italy and the United States. 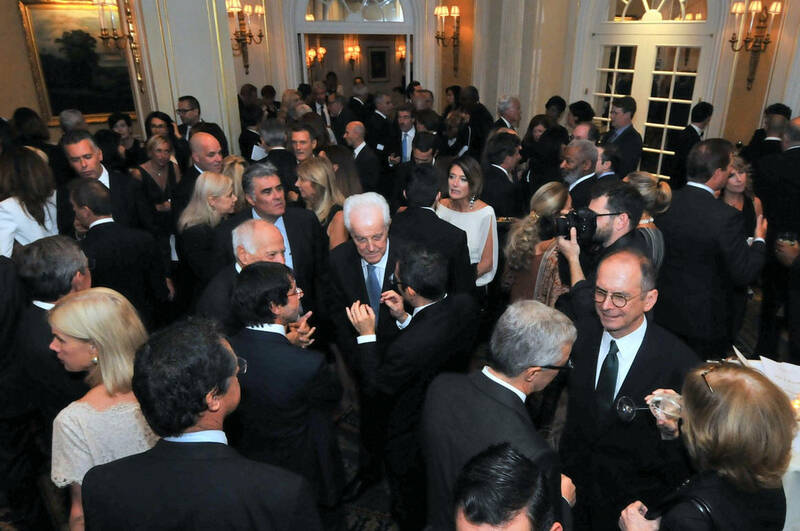 Guests-of-honor have included the American ambassadors to Italy and the Italian ambassadors to the United States, the Presidents of various Italian regions, Senators, Governors, Mayors, chairpersons of leading companies and financial institutions, renowned journalists, educators and representatives of the cultural world, as well as numerous Italian government and Parliament members during their visits to the United States.